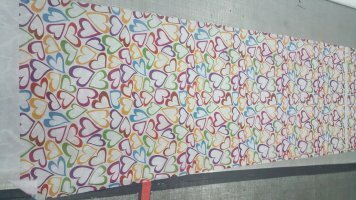 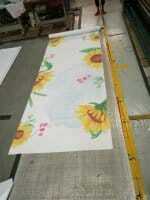 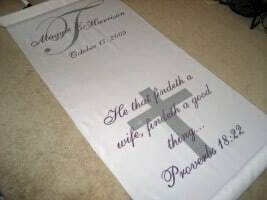 Complete your ceremony decor with a custom wedding aisle runners in quality fabric. 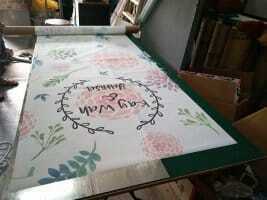 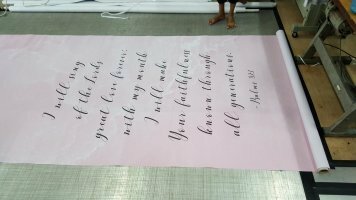 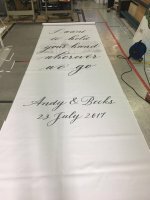 Walk down the aisle in style with this custom printed wedding aisle runner. 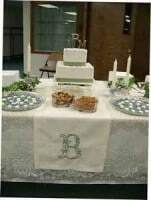 Great for Church Wedding, Hotel Wedding and Restaurant Wedding Decor. 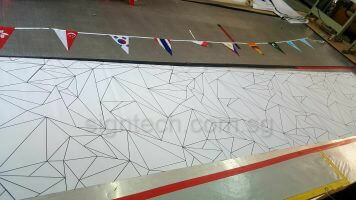 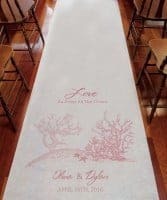 Our wedding aisle runners are perfect for either an indoor or outdoor wedding ceremony. 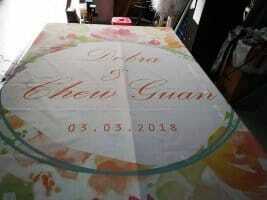 They will add interest to your wedding photographs while protecting your dress. 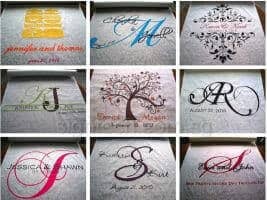 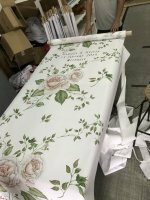 Wedding aisle runners come in white or ivory with a variety of colorful design choices plus add a personal touch by including your names, wedding date, quotes or monogram. 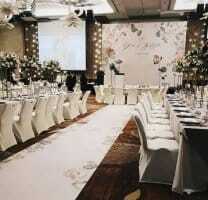 Don’t forget to get flower petals to decorate the aisle. 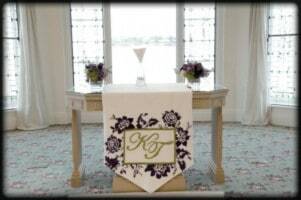 Arrange the petals along either side of the aisle runner or surrounding the area where the bride and groom will stand.